One of the easiest ways to build up a credit score is by applying for a credit card, using said credit card, and paying back the debt in a timely manner. However, there appears to be an entire generation that is avoiding this strategy, and they’re beginning to pay the consequences. A recent NerdWallet report said that Millennials (those who reached young adulthood around the year 2000) are the generation with the lowest average credit score. While a score of 660 (out of a possible 850) is considered standard and good, the average score among Millennials is 625, and the report suggests that 28 percent of this group have scores below 579! The consensus is that this generation of young adults aren’t concerned about their credit, and there’s a general fear that these scores will continue to trend in the wrong direction. 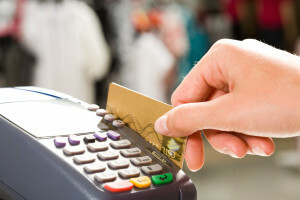 Bobbi Rebell of DailyFinance.com suggests that poor scores could be attributed to the lack of understanding when it comes to credit cards. Instead, Millennials are prioritizing their student loans, which Rebell says is a turnaround from the previous generation, which seemed to prioritize credit cards. However, consistently paying off credit card debt is a good thing when it comes to your credit score. These cards help the borrowers build up credit, and when it comes time to show off your credit history, those without credit scores will have nothing to show. “Millennials are misunderstanding, or are simply unaware of, the benefits of credit cards,” Sean McQuay, a credit card expert at NerdWallet, said. It doesn’t come as much of a surprise that those with the lowest credit scores are actually those that apply for the most credit cards. If you’re looking for more unsurprising news, get this: they’re more than often denied. So what lesson have we learned here? No, it’s not that Millenial’s attempts to be financial responsibility could blow back in their faces (which is unfortunately true). It’s that credit cards aren’t the financial trap that many make them out to be, and avoiding these credit-improving strategies could have long lasting implications. If you find yourself struggling to get an auto loan, head down to McCluskey Automotive. The helpful staff will find you a great car within your budget.